The company commenced trading in 1979. 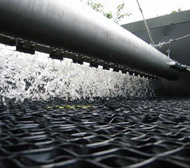 Specialist activities include the design, manufacture, supply and construction of purpose built plant and equipment for use in water supply systems and treatment of municipal sewage and industrial waste water. HYRATE Biofilter towers, both rectangular and Polytower format. Factory built timber support matrix for modular plastic media. HYCOVER static and rotary distributors. AUTOCLEANSE automatic nozzle cleansing systems. Travelling Bridge sludge removal systems. Specialist `one-off' plant to meet specific applications. Complete M & E projects, including procurement and construction. 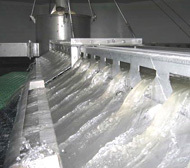 High rate Biofiltration for BOD/COD removal and nitrification applications. 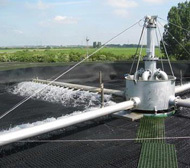 Aeration systems for Activated Sludge and Balance/Buffer Tanks. Activated Carbon for odour control, chemical and colour removal. Nutrient Dosing and pH Control. Instrumentation and Motor Control Centres with PLC controls. Site survey and total process design packages. Modular HYRATE Biofilter plant available for `on site' trials of differing media types. Plant also available for relief of overloaded plant or during outage of installed equipment and refurbishing. C A D using Ashlar Vellum software for preparation of detailed drawings and plant layout. 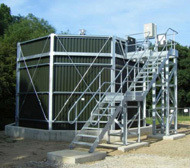 Complete `in-house' scheme and equipment design and plant layout. Civils outline design prepared for detailing by others. John Watson Associates act as our Structural Consultants. Over 40 years experience in design, new process development, manufacture and construction of equipment and systems for handling and treatment of effluents and sludges from animal husbandry, breweries, dairy and cheese making, confectionery, distilleries, food processing, maltings, paper, palm oil, petrochemical, sugar mills and refineries; municipal sewage treatment plant both in the U.K and overseas. All structural steelwork is designed and manufactured by our `in house' team to ensure the highest standards of quality and finished work is maintained. Welding undertaken by Lloyds certificated craftsmen. Full assembly and dimensional checks carried out at every stage during manufacture and assembly. Finished product subjected to application of suitable protective coatings to meet individual requirements. Special `clean room' facilities are used for preparation, assembly and testing of products for use in potable water supply. Production and inspection records retained for life expectancy of plant and equipment. Our team of installation engineers undertake all erection and plant installation. Media packing is carried out using specialist handling cradles to avoid damage. All members of site installation teams have received full training in all aspects of the work to be undertaken. and hold appropriate CITB certification; including Confined Space; Working at Heights; Banksman/Slinger. Appointed Person for crane movements and lift assessments; and are C.S.C.S card holders. Fully detailed Method Statements are prepared and all aspects of project work comply with C.D.M requirements. For more information about our products and services, please use the menu on the left to browse our website and view the different areas of expertise. 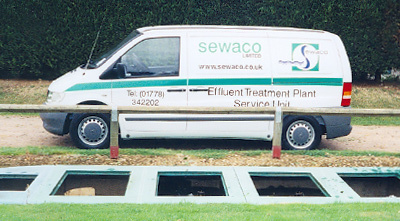 Alternately, you can download our Service Brochure here or email us at info@sewaco.co.uk with your enquiry.